The Ito is Black silk over White Rayskin. Tsuka is double pinned with bamboo mekugi, silk Ito wrapped with hishigami paper. Iron Shintogo Wisteria design Tsuba. Saya is wood with high gloss Black lacquer finish. 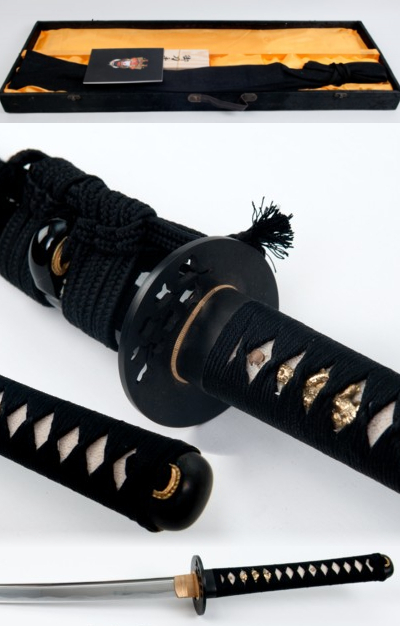 3 pc bullhorn, Black silk Sageo. Handmade. Brand new. Comes with cotton sword bag, cleaning kit and Black box.